I agree completely. While I may be the diametric opposite of an Argos fan, the fact is that if you were to ask n average person to name a player on the team, they’d probably say Mike Clemons .. and he hasn’t played in a decade. 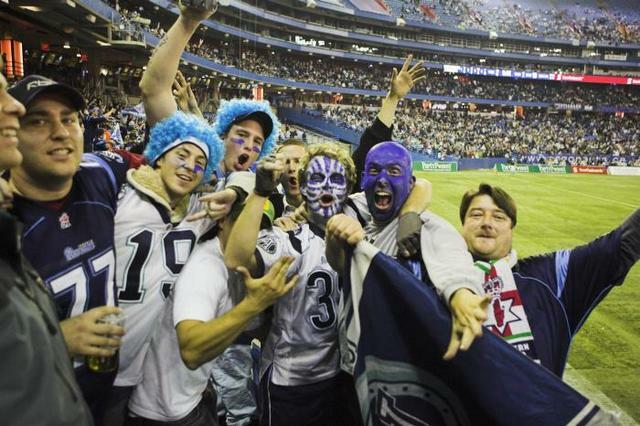 The Argos need to get out of the Sky dome (i’m sorry, but I still can’t call it the Roger’s Centre) and move into either BMO Field, or finally make a deal with U of T or York. I only no one Argo fan, never mind any players. You’re right though — I remember blow-out Argo parties in the 60s and 70s. It was the place to be. I hope it turns around for them.